See the image in attachment. You need to compile and install the whole project. ibnetdiscover to collect data about your Infiniband network. Contact me if you have any question or problem about using it. > OSU's INAM is free and graphical. 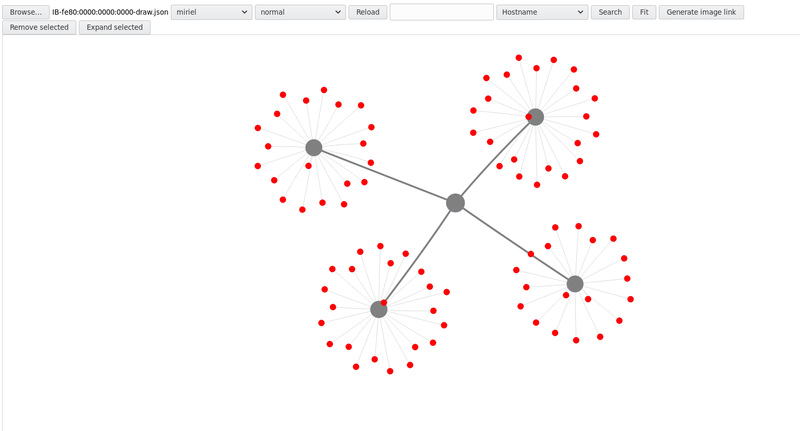 >> displays a graphical view of your topology. >> But typically you would just use ibnetdiscover, e.g. >>     I may hav easked this quesiton in the past. >>     and the links between switches? >>     outout of these tools and making a graphical plot.